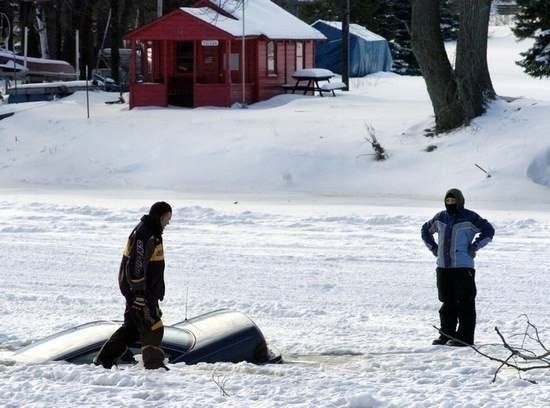 "After driving onto frozen river, man locks keys in car, engine melts ice." - Detroit Free Press. Here is the secret on getting back into your car. All you need is a police-issue slim jim or a wire clothes hanger. The former takes little finagling. It's made to unlock doors with the flick of the wrist. Hangers, on the other hand, take some elbow grease (+ 2 screwdrivers). Thanks goes out to Bob for submitting this gem for Wonder of the Day consideration.